Way back in 2013, we saw that agencies were looking for cost-effective, low-risk ways to grow their digital offer. Using our experience of working in the digital sector for the previous 7 years, we developed a unique service to provide partner agencies with access to paid search and digital expertise. An opportunity to open up new revenue streams, without the risk of taking on new employees. Our team is creative, data-driven and results focused so we can help with any aspect of a digital campaign from planning through to creative execution and reporting. We also support agencies that want to build an in-house digital team, assisting with recruitment and delivering bespoke training for both new and existing employees. Pratt Digital provides consultancy and ongoing campaign management for a number of direct clients both in the UK and internationally. We help businesses to think more strategically about their digital activity and to improve their ROI. Pratt Digital is an accredited Google Partner, with certifications for Search, Mobile Advertising, Display Advertising and Shopping. We are also Bing accredited and work across most digital platforms, including Amazon Shopping, Facebook and LinkedIn. We’ve worked with a mix of agencies and direct clients, both locally and nationally. Clients we’ve worked with: Gant, Emma Bridgewater, Lulu Guinness, Cox and Kings, Feather and Black, Interflora, Specsavers, The Co-Operative, The COI and Orange as well as many more that confidentiality agreements prevent us from naming both in the UK and overseas!. With over 12 years of dedicated paid search and marketing experience, it’s fair to say that Amelia has been digitally evolving from the very early days of search. What Amelia doesn’t know about digital isn’t worth knowing. 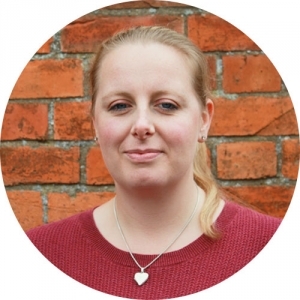 Prior to starting PD in 2013, Amelia worked with many award winning digital marketing agencies, including i-Level and Leapfrogg. Amelia’s strategic approach, tailored to every project, ensures that our clients can benefit from her unique blend of creativity and data-focus – a rare fish in the digital pond (if digital were a pond). Amelia has worked on integrated digital campaigns for international brands both here in the UK and globally. She enjoys helping clients to gain a competitive edge, improving ROI on their digital activity and walking Alfie, the Pratt Digital resident hound. 20 years in senior retail management has provided Lester with analytical skills and a head for numbers that most digital agency owners would give their right arm for. It’s true that Lester lives for a good spreadsheet, but also for opportunities to find new ways to develop innovative campaign strategies for our clients. Since joining PD, Lester has unleashed his creative talents on our client’s campaigns and loves the challenge of writing engaging, effective ad copy. 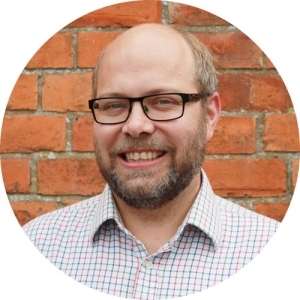 Lester enjoys being able to share his knowledge with clients, helping them to find their way around the technicalities of digital marketing, without the jargon. You don’t need to be in London to understand Digital. You just need Pratt Digital.